We specialize in industrial production. 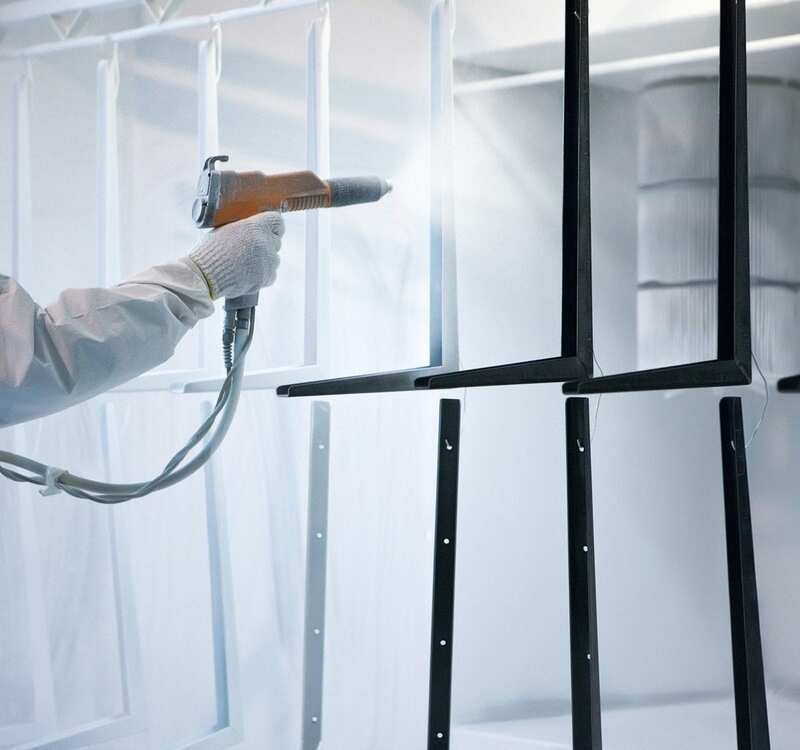 Our integrated powder painting service is greatly appreciated by many manufacturers of lighting fixtures, office furniture and chair frames, as well as by military and agricultural clients. Our 3-stage electrostatic powder painting system has a capacity of 30 in. wide × 44 in. high × 96 in. long. Using our powder painting service allows you to avoid the middleman and save time. You can also benefit from reduced logistics and transportation costs, as you don’t have to move your components from one supplier to another.